define('DISALLOW_FILE_EDIT', true); define('DISALLOW_FILE_MODS', true); Michigan vs Villanova National Championship predictions: Who Wins It All? Michigan vs Villanova National Championship predictions: Who Wins It All? It all comes down to one game. The Michigan Wolverines and the Villanova Wildcats will tip-off on Monday night and the winner will be the champions. The NCAA Men’s college basketball tournament has provided plenty of March Madness, but it all comes down to one game. Before making the Michigan vs Villanova National Championship predictions it is always smart to look at the opening odds and the college basketball betting trends before picking the winner. The latest point spread on this college basketball game has moved since its opening. 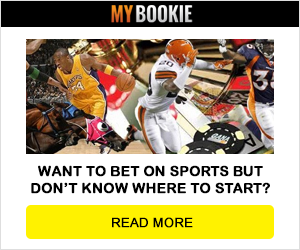 We have a full article which shows that line movement during the betting of this big game and the one team that the public is pounding. For this Michigan vs Villanova National Championship predictions we will use the current line found at the best sportsbooks that show that Villanova is a (-7) point favorite. When playing in a big game such as this, experience matters. That edge goes to the Wildcats. They have six players on the current roster that have national championship game experience, since they were on the team when they best North Carolina on a buzzer beater. The Wolverines plan an incredible defensive game and that will be on display on Monday night, if they hope to slow down the red-hot Cats. The Wildcats shot 18-for-40 from deep and 18-for-25 from 2-point range in a 95-79 big win over Kansas. The Wildcats had 20 assists from five different players. Villanova has the edge in the backcourt. They have one of the best players in college basketball today in junior Jalen Brunson who can score from the inside and the outside. The matchup to watch will be Moritz Wagner and Omari Spellman who are two big men that can be game changers with the way that they score and they defend. The college basketball betting trends show that both teams have great wagering angles headed into this game. However, the Wildcats will find a bad day to cool down from a shooting stand point. They will not be as hot as they were against Kansas against this Wolverine defense. This game will be close and the experience of Villanova will shine in the end.